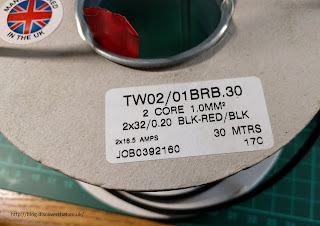 Not a very catchy title but difficult to know what else to describe this as. One of the side indicator repeaters on Fender had a dodgy connection. Not the easiest thing to repair as it is permanently connected in to the car wiring loom. 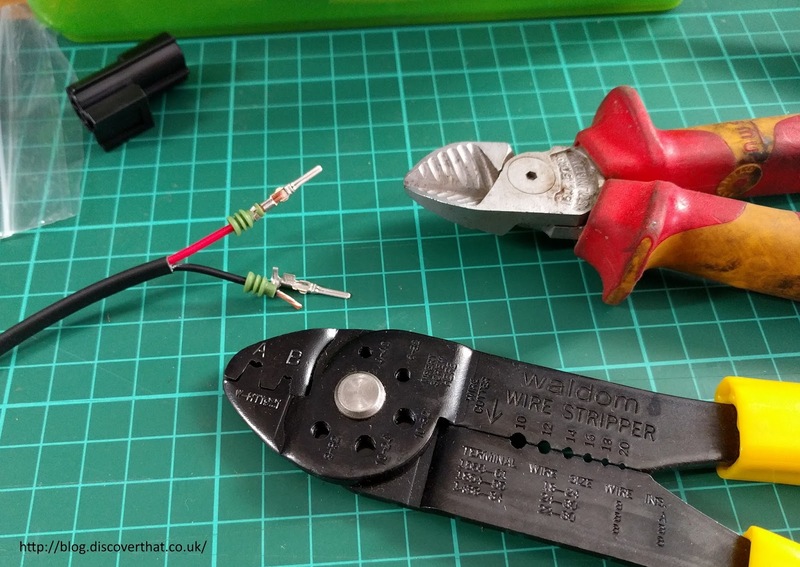 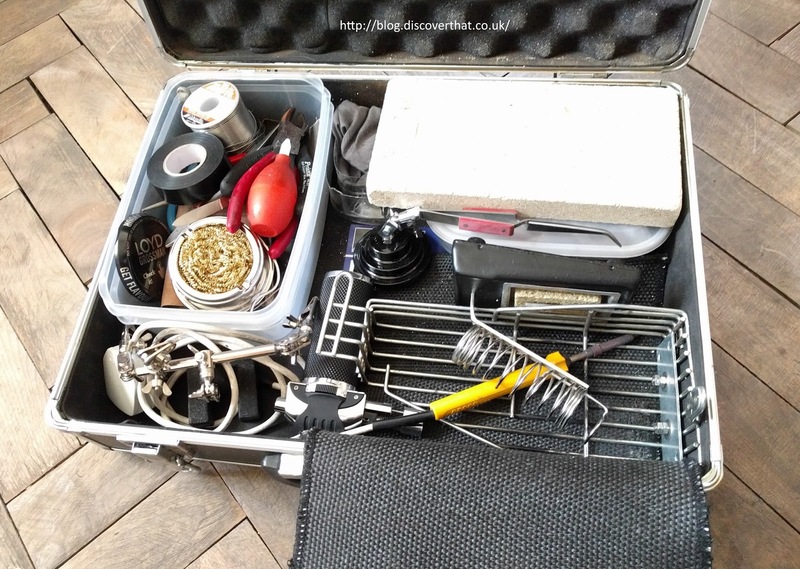 There are repair kits available where you cut it out, add a connector on the loom and plug in a new harness. 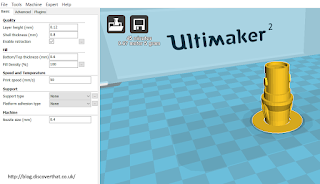 I thought I could make my own. 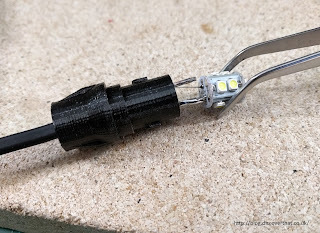 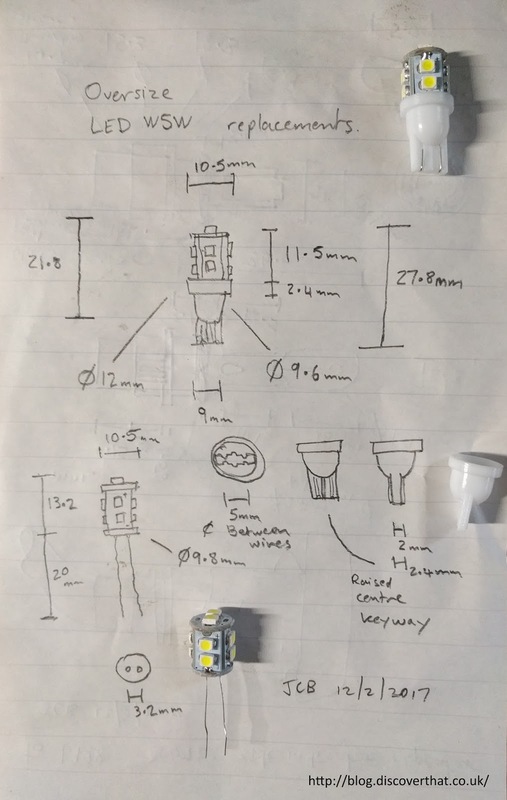 Although it would be a struggle to make a bulb holder I thought I could more easily make an LED lamp holder with the LED soldered on. Being LED they have a long life expectancy so they can be permanently attached. 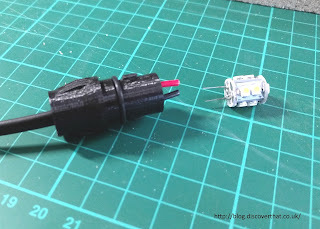 Very much like the LED lamps that are available for the other lights. 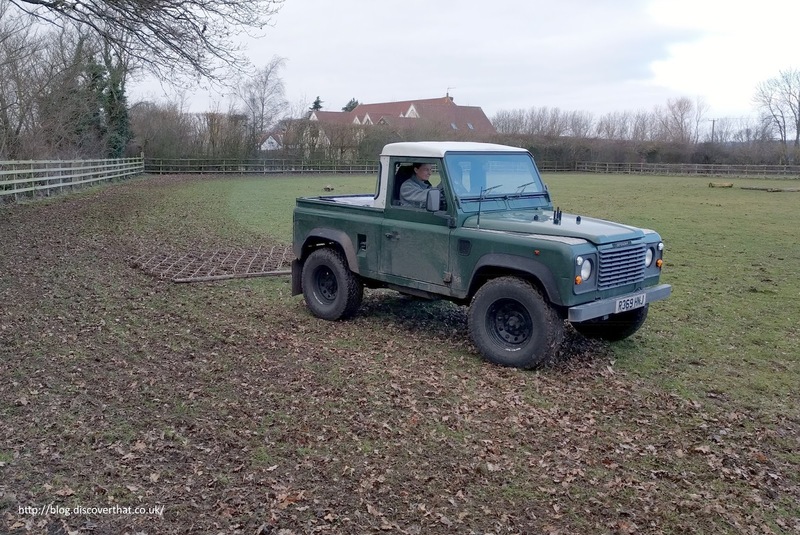 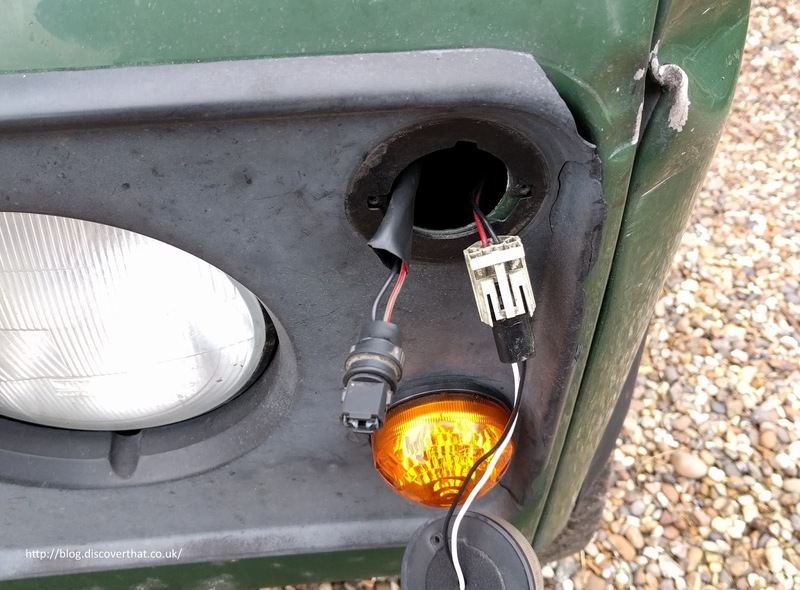 There are plenty of LED repeaters in the TD5 or newer style but I have designed my own to fit the 300TDi and older squarer style. 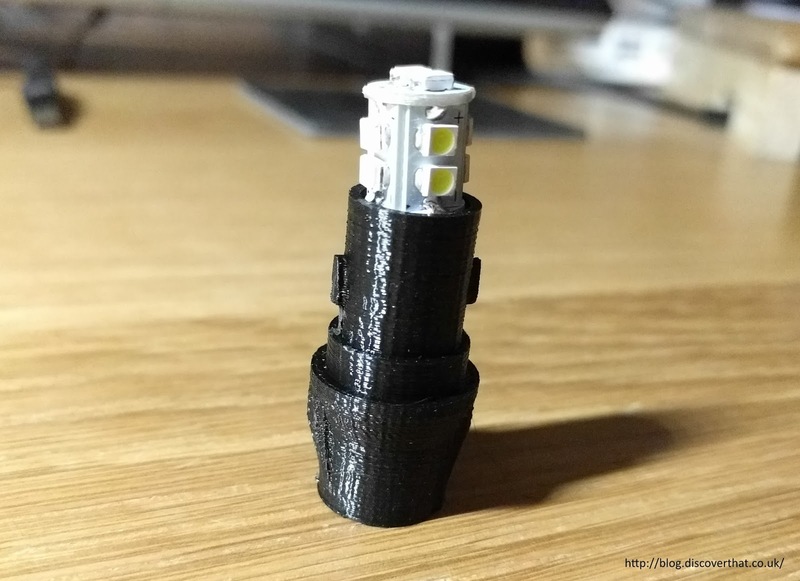 These are 3D printed. 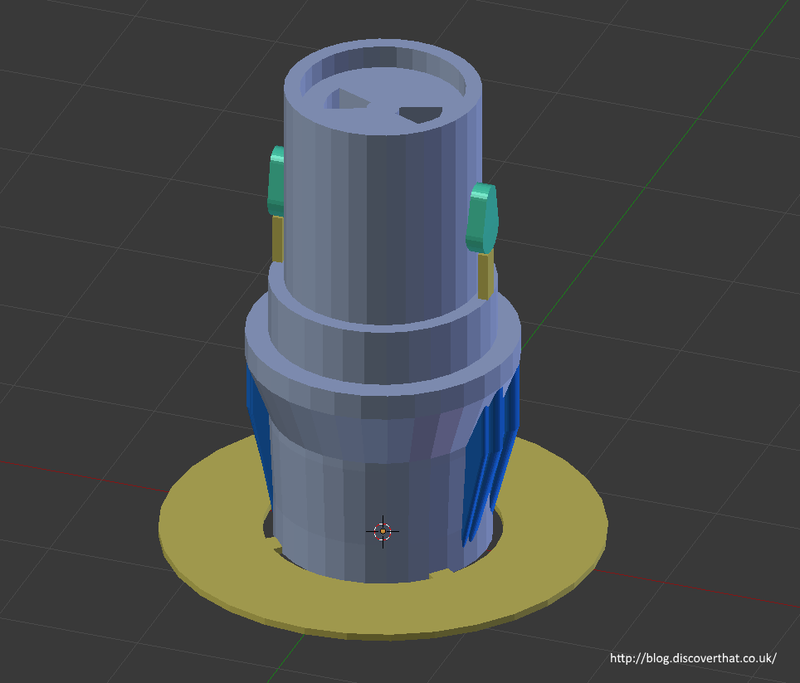 I designed the holder with supports built in to the model. 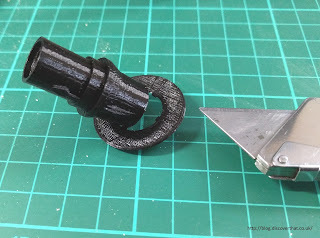 That way I can make the supports easier to remove. 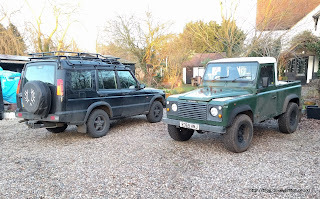 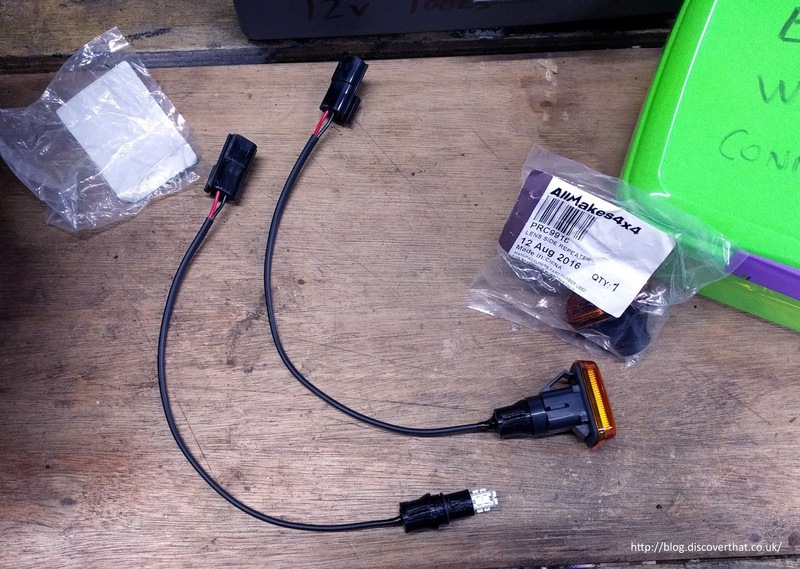 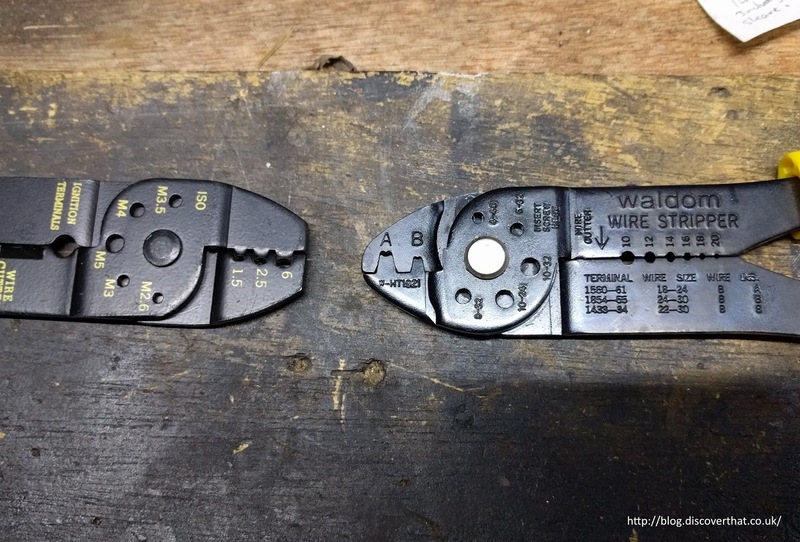 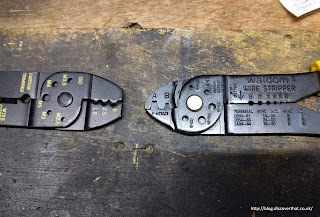 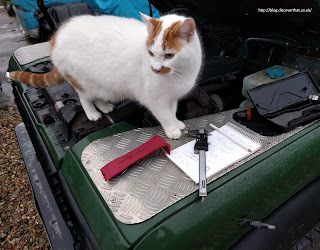 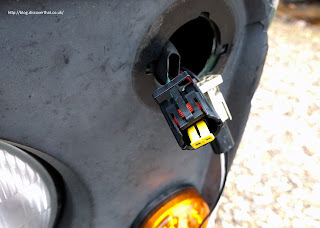 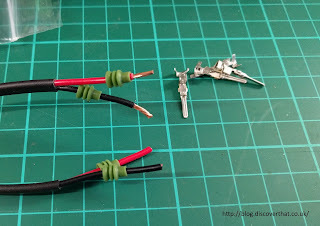 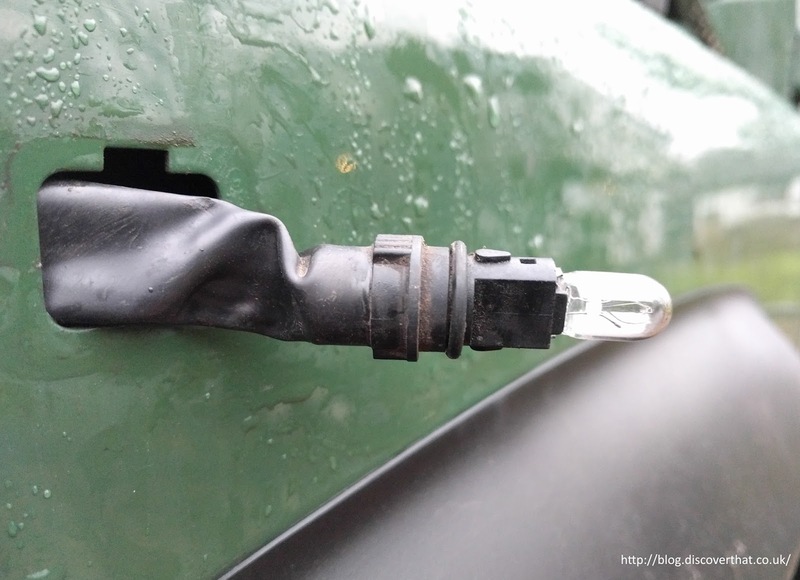 Instead of being connected permanently in to the main harness I have added Econoseal connectors, the same as used on the other indicator lights by Land Rover. To be consistent, I've deliberately wired them the same way round. 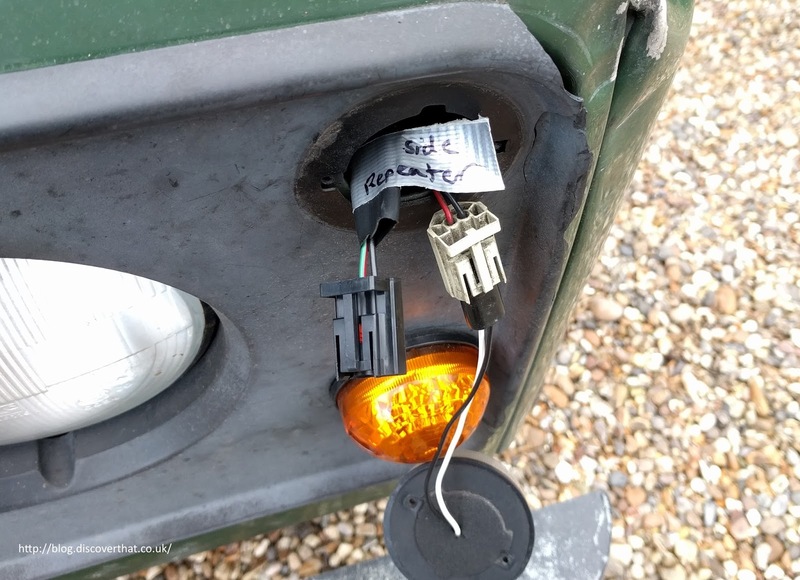 If all you want to do is fit an LED to the side repeater, the easiest thing to do is just plug in one of the 501 (W5W) LED replacements. 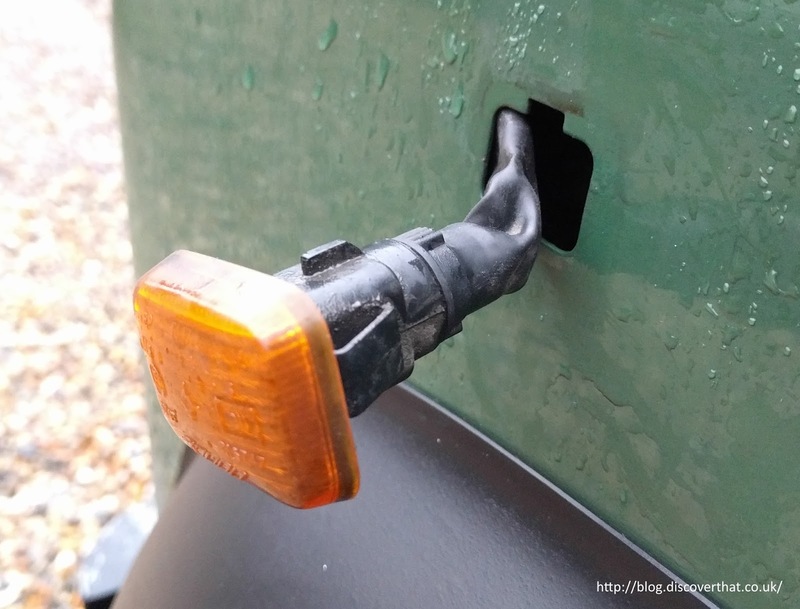 You do have to be careful what size they are. 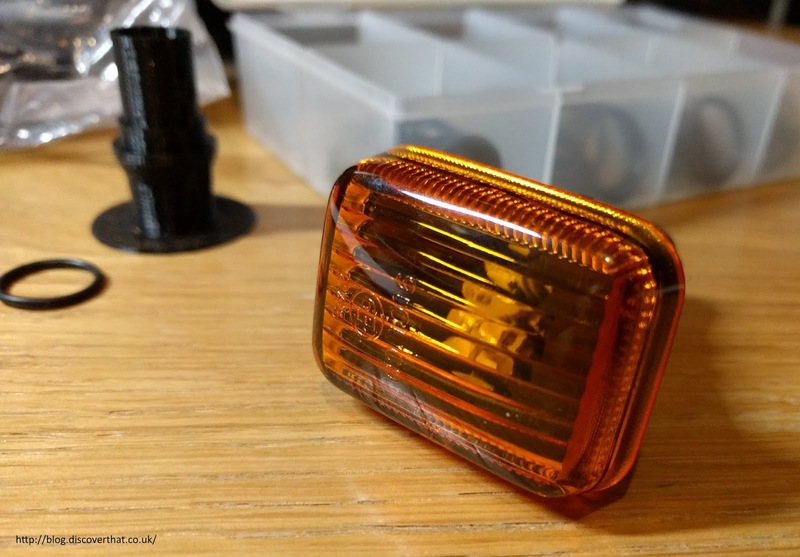 By trial and error I have found out that many of the W5W replacement LED bulbs are too long to fit the existing indicator repeater lenses. As I had several of these oversize LED lamps I've designed the holder to fit these. 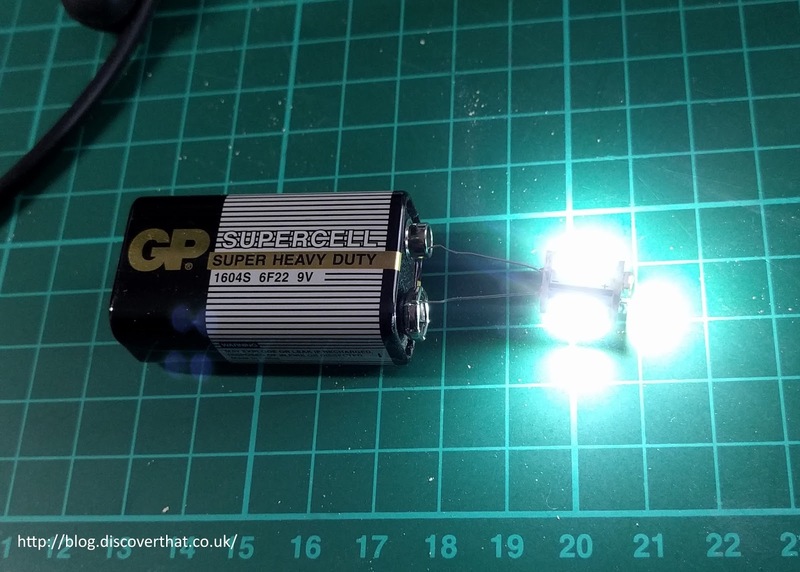 Any shorter LED W5Ws would obviously also fit. 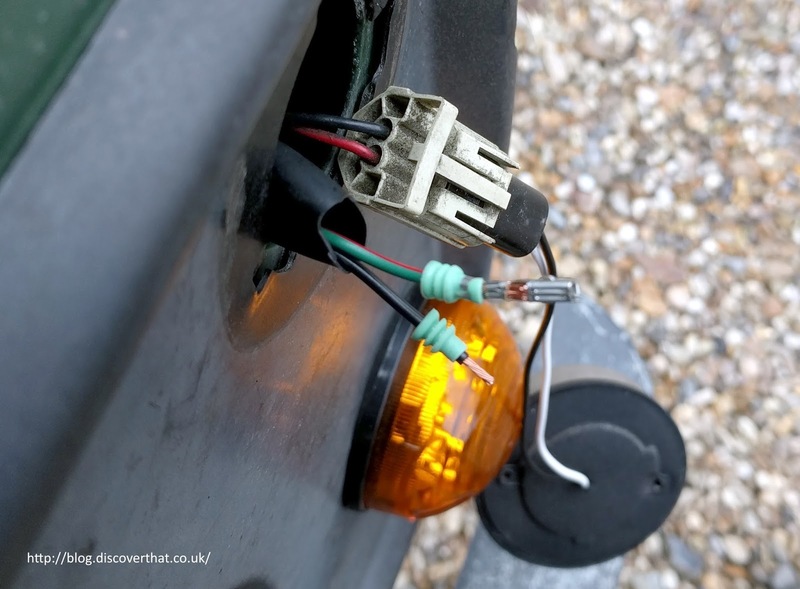 Typically the LED's are held in to their plug by simply having the wires bent over. 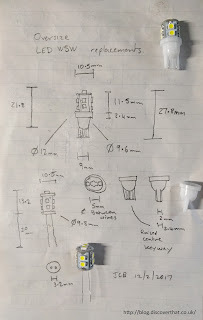 This is similar to the original design of the glass W5W lamps. 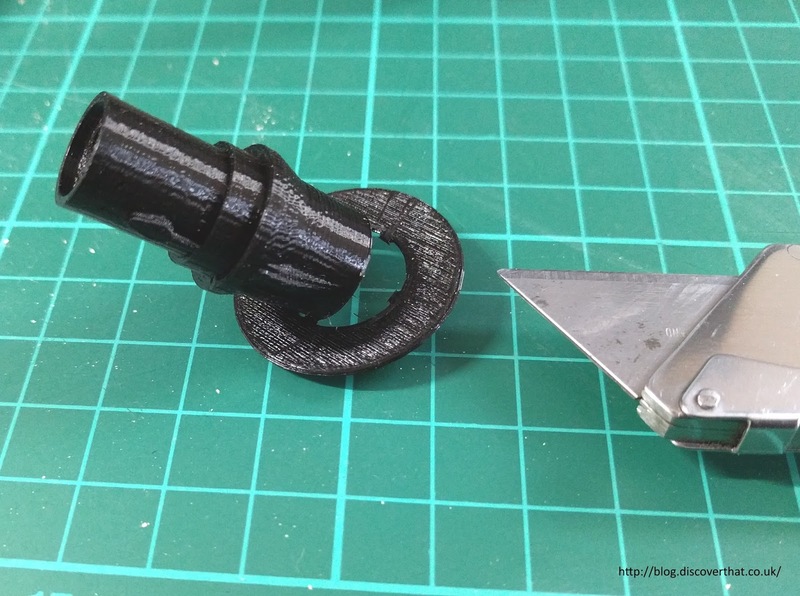 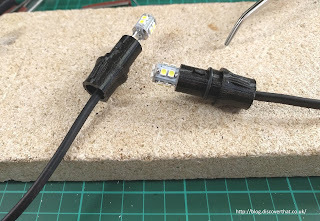 By unbending the wires the LED section comes out easily and can be slipped in to my 3D printed holder. 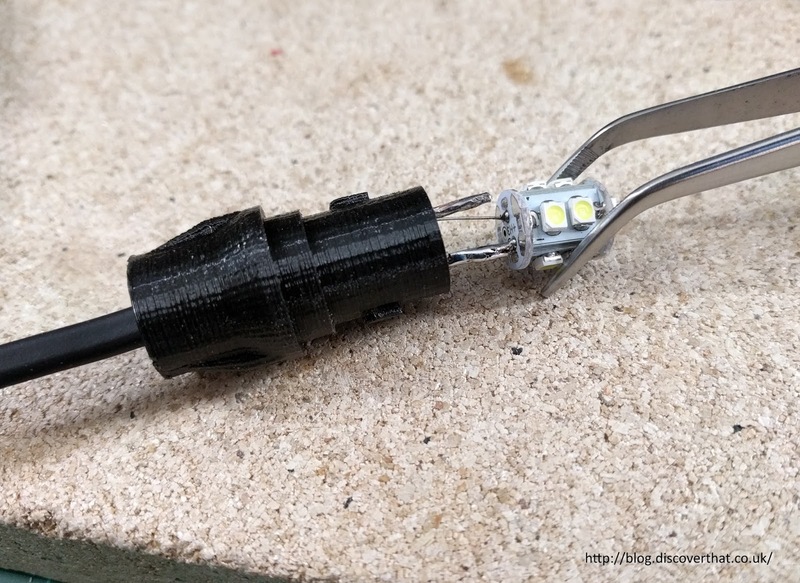 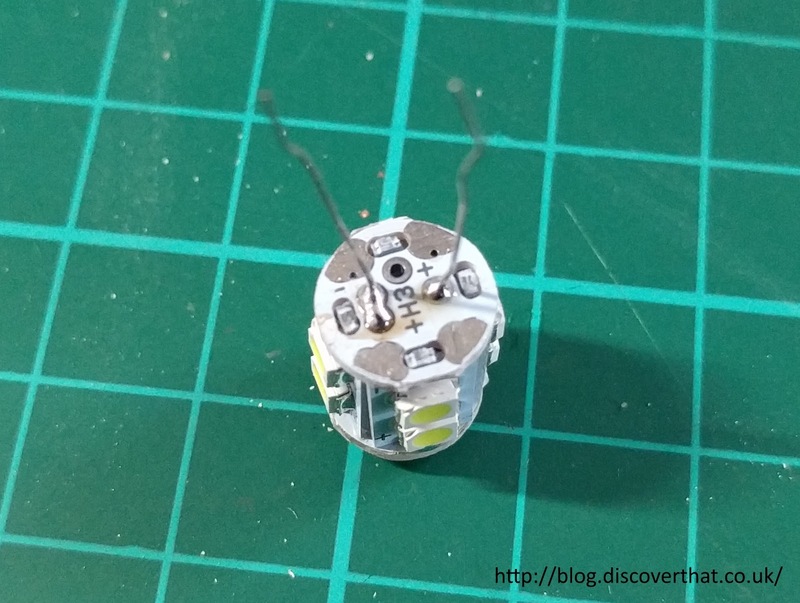 The wires on the cable are pushed through the holder and soldered on to the legs of the LED close to the base of the LED. 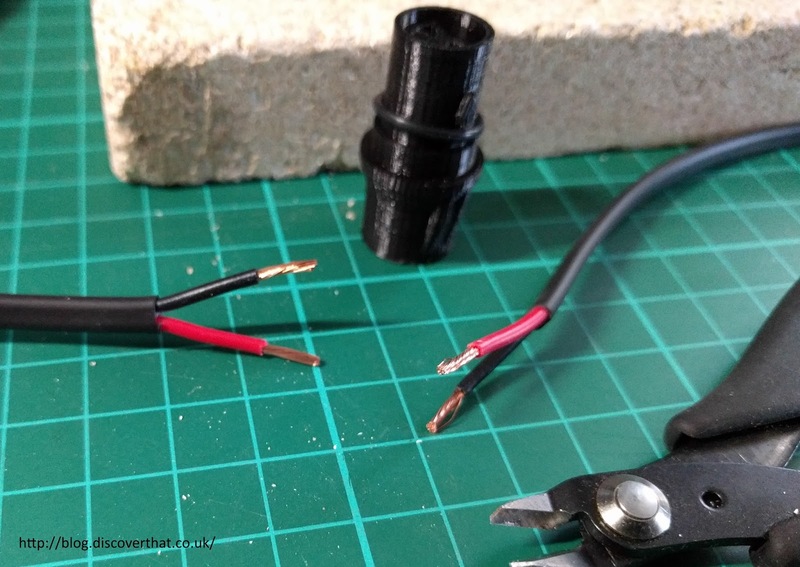 The holes for the wires in the prototype would only just fit a 1mm2 cable. 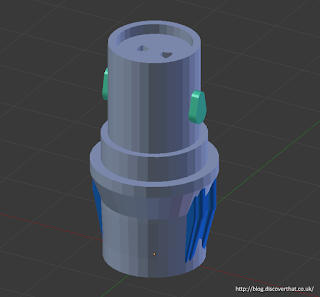 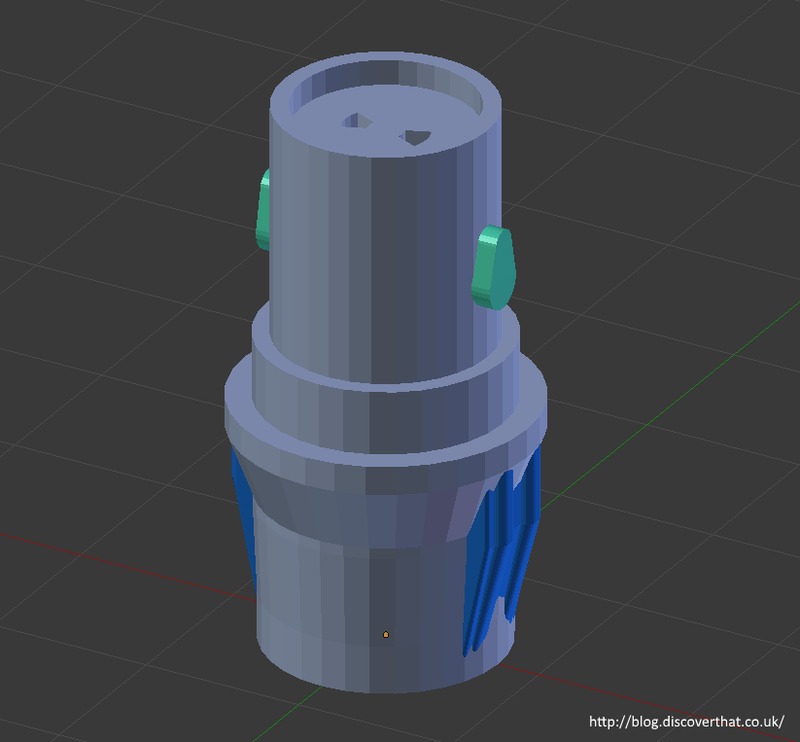 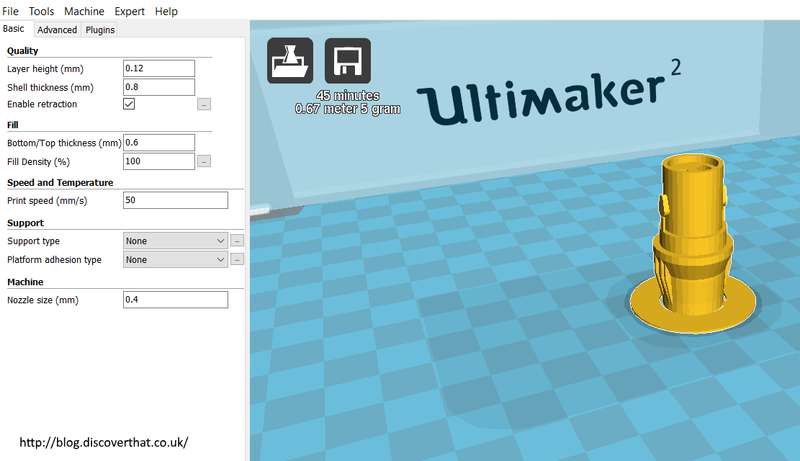 I've adjusted the 3D model to have larger holes. 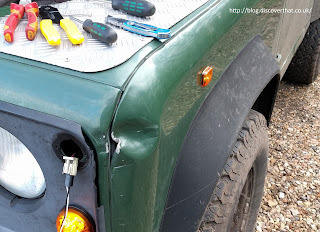 It will probably still be a tight fit. 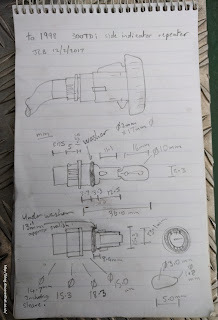 The harness is about 350mm long with 20mm exposed at the lamp end and 30mm exposed for the Econoseal connectors. 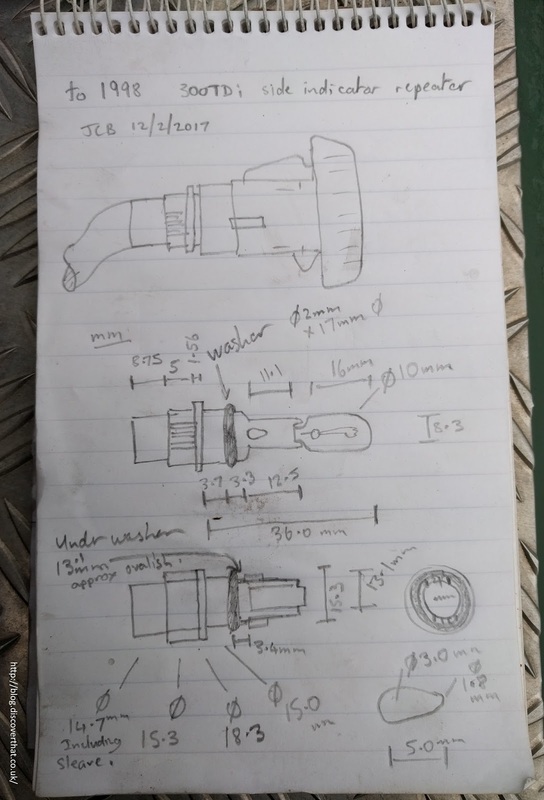 No more than 10mm of un-insulated leg should remain exposed. 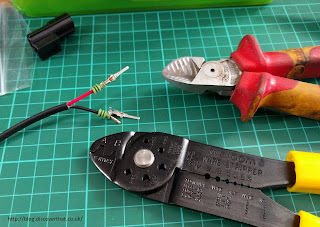 The wires are pulled back down so the solder joint is protected and insulated by the plastic holder. 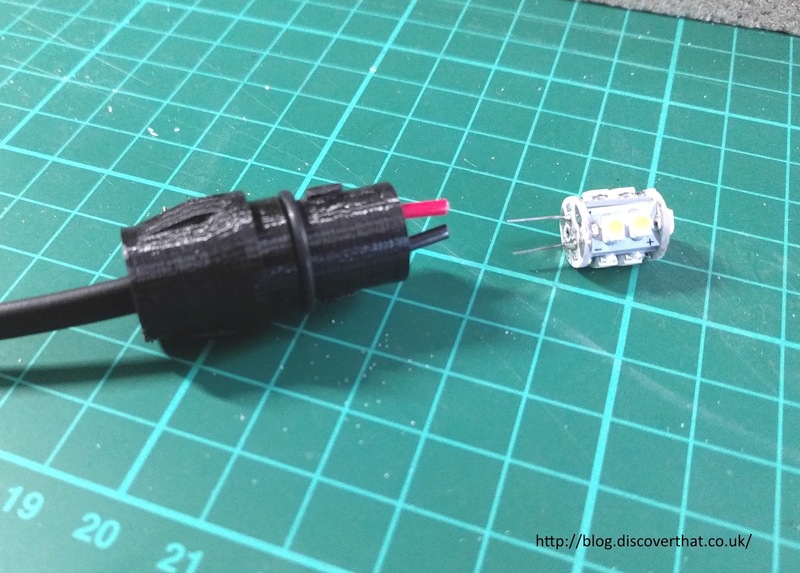 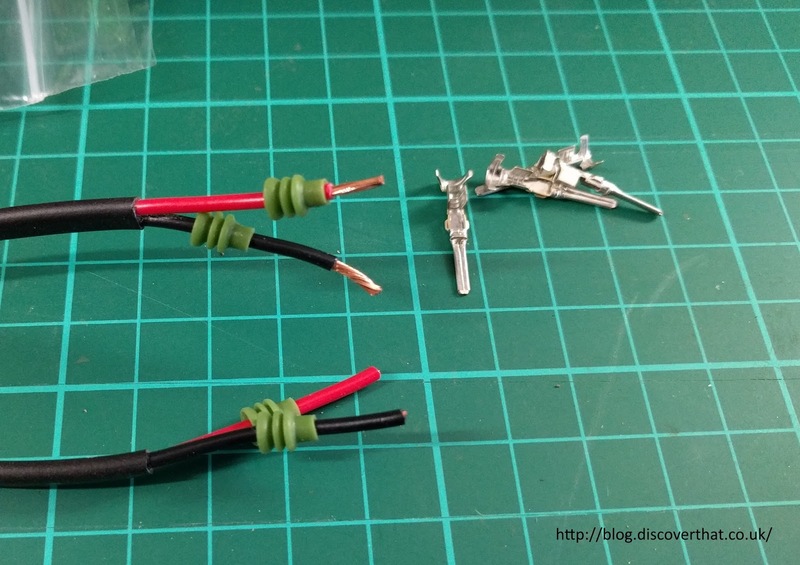 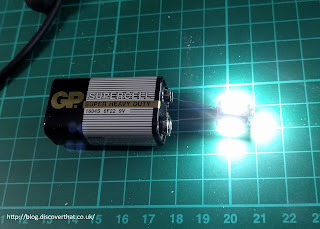 It's important to get the wires the right way round because LED's have a polarity. 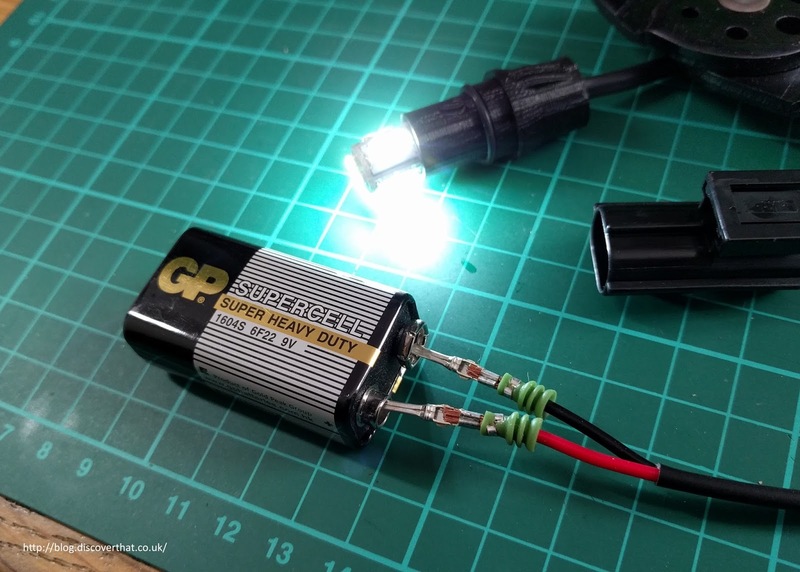 The ones I had were marked + and - but they are easily tested with a small 9V battery. 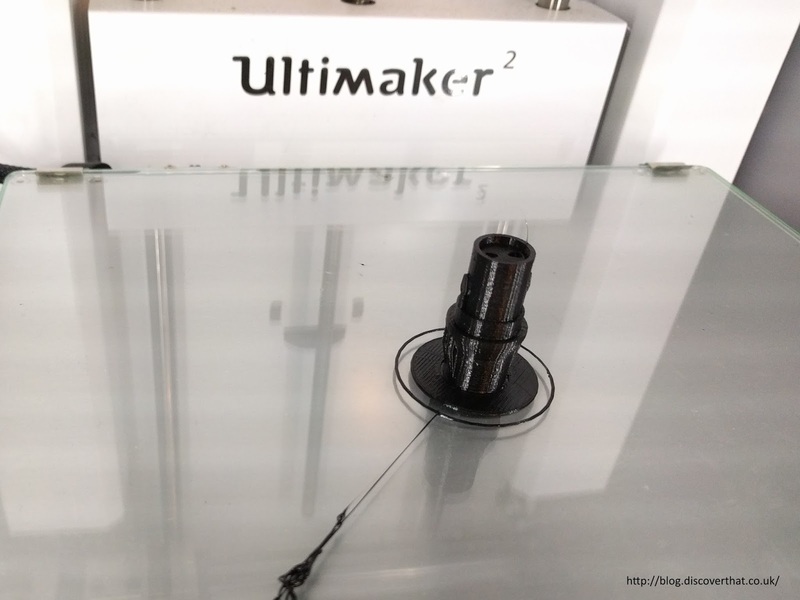 I added the Econoseal connectors and the rubber O ring. 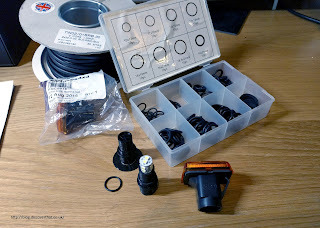 I could have reused the old O rings but I happened to have a box of assorted and one was a good fit. 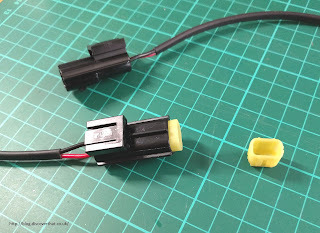 Worth noting that if you work with the small pins, on things like the Econoseal connectors, a better quality crimp tool makes the job a lot easier. 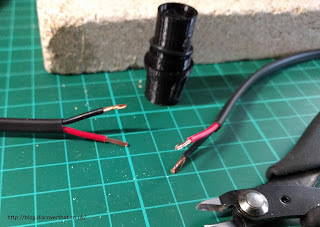 Once in place the leads are held in to the holder and made water tight by filling the base with mastic. 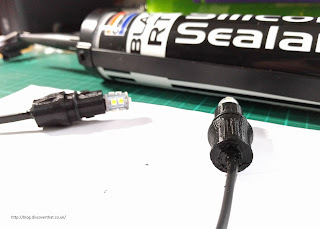 I've used black RTV silicone sealant. It would work equally well with potting resin if you have any to hand. On the car the old holder is cropped off and the corresponding connector added to those leads. 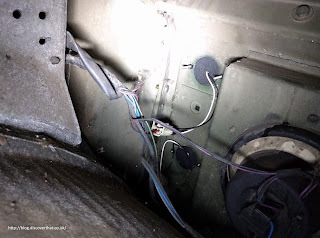 I found it easier to work through the side light hole as the repeater wires just reached. 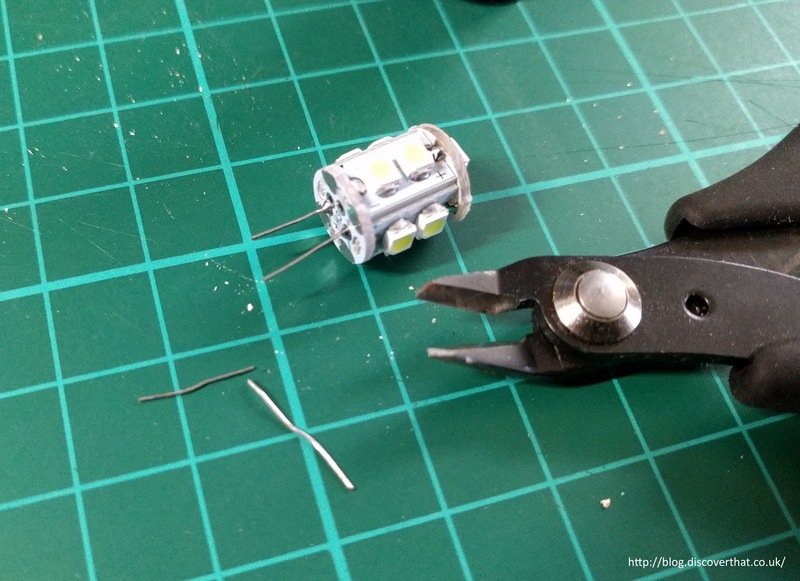 Reassemble the car and test all the lights.